Any form of energy, which is acquired from natural sources that can constantly be replenished is regarded as a renewable energy. The most common types of renewable energy around the globe include solar energy (sunlight), bio-energy (organic matter), wind energy (wind currents), geothermal energy (heat from the earth), ocean energy (sea) and hydropower (moving water or rain). Italy is currently investing in the research and development of solar energy, wind energy, geothermal energy and hydropower. In order to better frame the Italian case, let’s first overview the worldwide situation. At global level, renewable power accounted for 70% of net additions to global power generating capacity in 2017, but global energy-related carbon dioxide emissions rose 1.4% in 2017, after three years of holding steady. The increase in carbon emissions was the result of robust global economic growth (of 3.7%), lower fossil fuel prices and weaker energy efficiency efforts. In the year 2017 a revolution in the power sector is driving rapid change towards a renewable energy future, and the overall transition is not advancing with the speed needed. While momentum in the power sector is positive, it will not on its own deliver the emissions reductions demanded by the Paris climate agreement or the aspirations of Sustainable Development Goal. The heating, cooling and transport sectors, which together account for about 80% of global total final energy demand, are lagging behind. But the news is not all bad. Renewable power generation capacity saw its largest annual increase ever with an estimated 178 gigawatts added globally. New solar photovoltaic generating capacity alone was greater than additions in coal, natural gas and nuclear power combined. And while China, Europe and the United States accounted for nearly 75% of the global investment in renewable power and fuels, 2017 saw significant investment in developing country markets. When measured per unit of gross domestic product, the Marshall Islands, Rwanda, the Solomon Islands, Guinea-Bissau and many other developing countries are investing as much as or more in renewables than developed and emerging economies. These positive developments need to be scaled up for a global energy transition. Corporate sourcing of renewable power is also on the rise. Initially many companies saw the adoption of renewable energy solutions mainly as an act of corporate social responsibility. Significant reductions in renewable energy costs, however, as well as maturing market and policy environments, have made renewables cost-competitive and attractive sources of energy in their own right. As 2018 , corporate renewable energy sourcing has moved beyond the United States and Europe and is now found in countries such as Burkina Faso, Chile, China, Egypt, Ghana, India, Japan, Mexico, Namibia and Thailand. Grassroots efforts, decentralised solutions, innovation, start-ups, off-grid applications, solar thermal and other activities are not visible when reporting at the global level, yet collectively they make a significant contribution. These developments offer opportunities for scaling up and furthering the transition in the energy system. Collecting data and tracking the evolution of small-scale solutions as well as how renewables are being used in key sectors such as transport and agriculture must be a new priority. These positive developments show that the renewable energy transition is possible, but advances so far are uneven across sectors. Increasingly, sub-national governments are becoming leaders in renewable energy and energy efficiency initiatives. At the same time, many developing and emerging countries are expanding their deployment of and investment in renewables and related infrastructure. The private sector is also increasingly playing a role in driving the deployment of renewable energy through its procurement and investment decisions. As of 2016, renewable energy accounted for an estimated 18.2% of global total final energy consumption, with modern renewables representing 10.4%. The number of countries with renewable energy targets and support policies increased again in 2017, and several jurisdictions made their existing targets more ambitious. With regards with the Italian case, the country relies on some of the other European nations to meet about 86% of its energy requirements. This has put a significant amount of strain on the country’s resources. In an effort to reduce its dependence on others, Italy has therefore started tapping its renewable resources in the last decade or so. Moreover, environmental awareness in Italy has been on the rise in the last few years. Many organisations and a few homeowners have shown some interest in switching over to electricity that has been produced by renewable energy. This country has the advantage of receiving ample sunlight because of its geographical location. Therefore, the solar photovoltaic sector is fast emerging as one of the dominant renewable energies. Several expats who build or restore houses in Italy are getting their architects to install solar panels to power the premises. These panels generate electricity when the sun shines; the energy is fed into the grid and the electric company pays the producer. This helps cut down electricity bills to a great extent. The amount of energy generated may vary from one region to the other, based on the amount of sunshine received. To increase production of energy additional panels may be installed. At the moment though, the most important renewable energy source (RES) is Hydropower, which contributes to about 16% of the country’s gross electricity production. Geothermal power is also being produced in certain parts of the and represents around 2% of the gross electricity production; in Larderello (Tuscany), electricity is generated from the steam that is naturally produced by hot rocks several kilometers under the ground. Prospects for wind power in Italy also look good as the country’s turbines are producing the same amount of electricity as the geothermal plants. Wind turbines can be seen in several regions across the peninsula. 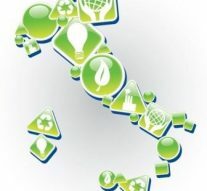 The Italian government has offered some incentives for the promotion of renewable energy. However, the incentives were recently cut down in the year 2012, thereby reducing profitability for the companies providing green energy. Any further revisions in the incentives could deter organisations from exploring the renewable energy sector. As compared to countries like the US, Canada and Australia, the use of renewable energy in Italy is limited, especially among the urban population. However, Italy still has a long way to go, in order to achieve its targets that have been set for the year 2020. The Italian National Renewable Energy Action Plan aims at increasing the total share of renewable energy to 26%, with 18% in the heating/ cooling sector, 39% in the electricity sector and 14% in the transport sector.